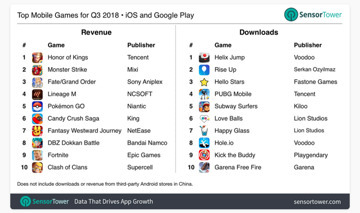 App analytics firm Sensor Tower is is once again finding that Apple's iOS App Store continues dominating revenue generated tallies, versus the Google Play store —and the lead is only getting bigger. 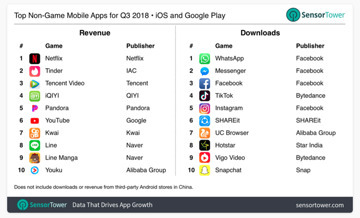 Google does hold the lead in total installs, though. 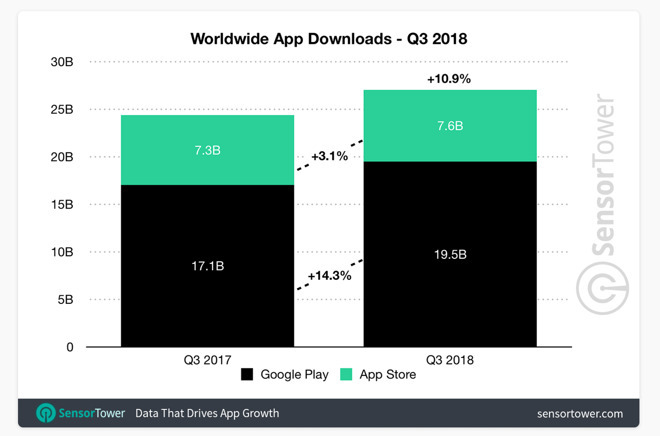 Google Play has grown from 17.1 billion app installs to 19.5 billion year-over-year —a 14.3 percent growth. 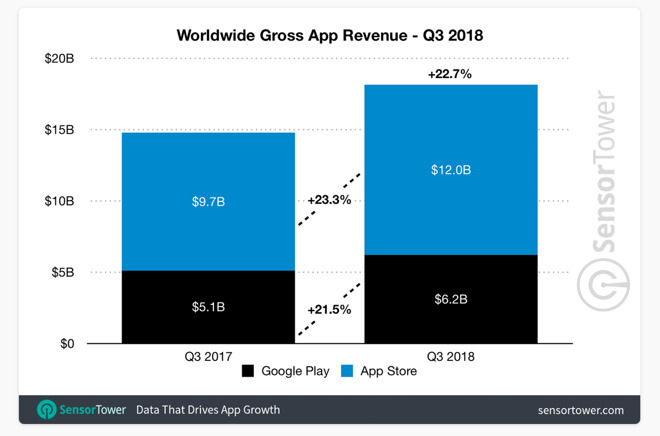 At the same time, Apple's installs add up to 7.6 billion in the third quarter, a 3.1 percent growth from 2017's 7.3 billion.